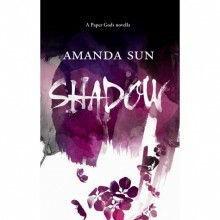 Meet two teens whose worlds are about to change forever in this paranormal Young Adult novella, a prequel to Ink by debut author Amanda Sun…Katie Greene's worst nightmare comes true when her mother dies, and she's devastated to learn that she will have to leave the only home she's ever known. Desperate to find where she belongs, she must decide if she has what it takes to start a new life across the ocean.For Yuu Tomohiro, every day is a nightmare. He struggles to control his strange ability, and keeps everyone at a distance so they won't get hurt—even his girlfriend, Myu. At night, a shadow haunts his dreams, and a mysterious woman torments him with omens of death and destruction. But these haunting premonitions are only the beginning…Don't miss the moment when Katie's and Tomohiro's worlds collide in Ink, book one of The Paper Gods series from Harlequin TEEN.